I was never a fan of Captain America. I’m a Spider-Man kind of guy. But ever since Marvel began expanding its cinematic universe, starting with Iron Man back in 2008, I held out hope that the world’s dullest superhero would get a character makeover to make him more relatable to today’s audiences. Marvel didn’t do that. Instead they wrote a story to highlight what makes Captain America a hero–his heart, his belief…his faith. 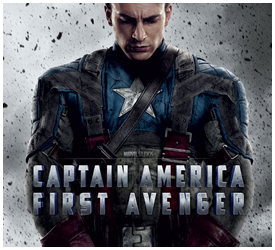 The First Avenger made me see the shine under the dull exterior of Steve Rogers. Fast forward to years later, after his attempt at leading the Avengers in their first team-up movie, and we see Captain America come to his own. Finally. Steve Rogers is a man of virtue. That’s what makes him dull. Because you know he will never make a mistake, and that he will always consider other people’s fates first before his own. He is not one of us. He is the Superman of Marvel, the beacon of hope, and of all things good. Of what we have to aspire to be. And we don’t like being shown our weaknesses. But when you put Steve Rogers in a situation everyone of us faces? When you give him problems that we ourselves have? When you see him struggle with things we struggle with in a day-to-day basis? You start to see that he’s not perfect. That he is us…at our basest form. Someone who just wants to do good; someone who just wants to do right. Someone with the courage to do so. This is when we start to root for him. The Captain America of Marvel’s cinematic universe speaks to us because he is not painted to be the person we should be–but the person we could be…if we only had the confidence to embrace who we are, regardless of how we look, of how big or small we are, of who is opposing us. Captain America: The First Avenger made me believe that a modern hero could be as virtuous and clean as Steve Rogers. (Which is weird, seeing as that film was a period movie.) The Winter Soldier made me believe that we can be like him too. And that’s just one of the things I loved about The Winter Soldier. The cast is stellar. Chris Evans is Steve Rogers. Scarlett Johansson shows new depths in her characterization of Black Widow. And new addition to the team Anthony Mackie is awesome as the Falcon. The supporting cast was just as great, but I don’t want to mention why exactly as that would spoil certain parts of the film. Let’s just say the only character that let me down was Agent 13, but that’s not so much because of how she was acted, but because there wasn’t enough screen time for her, and for the set-up of her potential as a love interest for Captain America. Heck, Cap’s friendship with Black Widow has more chemistry than any of Cap’s scenes with Agent 13. That said, it is going to be hard to root for a new love for Cap anyway because of a Peggy Carter cameo that will make you tear up. You don’t want Cap to move on just yet. Another thing that The Winter Soldier does exceptionally well is the characterization of its villains. And the film has a lot of them. Baltroc, Crossbones, Armin Zola… The list goes on, and we’re not even counting the titular Winter Soldier yet. In a Captain America film, you expect things to be black and white. Cap, after all, is our All-American Hero whose intentions are pure and true. Evil should be evil. But that’s not the case with The Winter Soldier. It’s all gray area. And that’s what makes the film all the more interesting. What happens when the embodiment of all things good come fact to face with the moralities of gray areas? How will he discern good from evil? What happens when a man who values trust above all else, is told to trust no one? Captain America: The Winter Soldier will take your expectations and throw it under a bus. And then it gives you a film you never thought you wanted–and make you enjoy it. That’s the movie synopsis from Yahoo! Movies–but I think it can do with a bit of tweaking as there were some things in the movie that doesn’t quite jive with this synopsis. One, Steve Rogers is volunteering to be a soldier for the United States Army. He gets roped in into the experimental program because it’s where he is assigned by the recruiter who becomes impressed by his tenacity. Two, as Captain America, Rogers has a team of soldiers who helps him with his non-Hitler related missions–and he gets aided by Agent Peggy Clark and Tony Stark, Sr. Bucky Barnes is actually a member of the team of soldiers who just happens to be Steve Roger’s best friend. Now that I’ve nitpicked the synopsis, I just want to share that I highly enjoyed Captain America: The First Avenger. Truth be told, I didn’t expect to like it as much as I did. But I did. And I keep telling my friends who haven’t seen the film yet, you’ll understand why no other actor could have played this version of Captain America. That, and that this is not a superhero movie. No, I’m not lying. Captain America: The First Avenger really does not look or feel like a superhero movie. It’s a war movie that deals with loss, sacrifice and heroism–with a bit of comedy thrown in. And everyone involved in the film really threw themselves in the role, because you won’t see Chris Evans playing Captain America, or Dominic Cooper playing Tony Stark–you really see the two characters come to life through the actors. And this is all the more true for Chris Evans who has been in a couple of well-known roles: that of the Human Torch in two Fantastic Four movies, and as that guy from Not Another Teen Movie. And for the ultimate geeks (or those lucky enough to have seen Scott Pilgrim when it was shown here), he was Lucas Lee, the movie-star evil ex-boyfriend. In Captain America, we see Chris Evans as we’ve never seen him before–as the guy next door. We always see him play these overly confident characters that it’s nice to see him as the quiet type. Oddly enough, he felt more like a character when he was already the bulked-up version of Steve Rogers than when he was the puny kid from Brooklyn. I guess I kept getting distracted by the fact that the actor is really not that small. And I kept looking for the patches and tears in the effects they did to shrink the actor. As for the story… Well, there really isn’t much to say about the story. It’s war, people are being recruited to fight, and amidst all these we have this maniacal character (played by Hugo Weaving who is dastardly devilish here) wanting to dominate the world and eradicating those who do not follow him. Yes, he is worse than Hitler. But of course, you need a super villain for your super hero. Except, as I mentioned above, this is not a superhero movie. We get the montages, the transformation, and the heroic shots. We get the sacrifices, the loss, and the token love interest. But at the heart of it, this is a film about how war affects so many people in so many different ways. And how ordinary, non-superpowered human beings, can be heroes too. Captain America: The First Avenger is showing in theaters. And when you watch the film, make sure to stay until the end of credits. Mostly because you get to see the teaser trailer for The Avengers. But also to recognize the many people who put hard work into the film.